To my Skills + Profile Page where you’ll find lots of great information that you won’t find anywhere else. Within each of the toggles below you will find a Behance link that leads you to visual examples for each section. Photoshop, Illustrator, Premiere Pro, After Effects, SpeedGrade, Audition, Adobe Media Encoder, Bridge, Final Cut Pro, Maya, NewTek TriCaster Apps, Telestream Wirecast Studio, Blackmagic Media Express, XSplit Broadcaster, Sorenson Squeeze, Adobe Creative Cloud, Photoshop Lightroom, Adobe Color, DVD Studio Pro, LiveType, Soundtrack Pro, Compressor, iWork, Audacity, ProPrompter, SynchronEyes, iLife, Blackboard, Soundflower, GeoEdge Pro, Microsoft Office, Dropbox, Google Drive Software, Apple iOS / OS & Microsoft Windows. Concept & Creative Development, Developing Creative Briefs, Research, Story Development, Storyboarding, Planning, Scheduling, Coordinating Talent / Personnel, Establishing Vendor Roles, Budgeting, Technical Development, Designing & Drafting Video Production Studio Master Plan, Sourcing Technology & Equipment Suppliers, Purchasing, Installing & Configuring Studio Gear, Testing / Troubleshooting / Maintaining AV Equipment & Software, Creating Server Based Workflows to Organize & Share Graphics Packages & Media Elements between Producers & Video Control Operators, Optimizing AV Streaming Encoding Settings, Working with Rental Houses, Liaison with Insurance Brokers & Accountants, Set Designer / Decorator / Dresser, Props Master, Script Writing, & Locations Scouting. Video Editing, Motion Graphics, Color Grading, Audio Post Production, Chroma / Color Keying, CUDA Platforms, Encoding & Delivering Video for Various Outlets Including: Social Media Networks, Digital Video Channels, Content Delivery Networks, & Broadcast Distribution. Pipeline & Workflow Configurations, Digital Asset Management & Organization, Building & Maintaining an Inventory of Video & Media Assets, System Controllers & Automation, Live Streaming Media, NewTek TriCaster Systems, Leightronix Video Servers / Routers, Data Archiving & Backup, Analog to Digital Conversion, Applications, Transcoding, Video Codecs, Aspect Ratios, Data & Frame Rates, Compression, Optimization, Embedding, Media Player Interfaces, Batch Processes. Motion Graphics, Animation, Kinetic Typography, Branding, Logo Design, Creating Media Assets Via Brand Style Guides / Video Style Guides, Coordinating the Proper Use of Branding to External Vendors, Interactive Menu Layout & Authoring, Illustration, Editorial Design, Magazine Advertisements, Blog & Website Design, Typography. Product / Portrait / On-Set / Event / Lifestyle / Nature, Beauty Retouching, Compositing, Color Analysis and Correction, Raw Photography, Restoration-Behance, Lighting (In-Studio & On-Location), Pre-flighting, QA / QC, Scanning, Hardware & Software. Executing Marketing & Communications Team Campaign Initiatives, Video Production & Motion Graphics for a Variety of Video Types & Delivery Methods, Deploying Social Media Strategies, Evaluating Media Effectiveness, Twitch Live Streaming Video Platform, YouTube Live Streaming, YouTube, Tracking Outcomes & Metrics, WordPress / Blogs, SEO, Google +, Analytics, Places, AdWords, Keyword Planner, Podcasting, Instagram, Bitly, Facebook, & Creating Email Marketing Campaigns. Administering Multimedia Facilities / Technology / Staff, Developing Clear Course Objectives, Confident in Teaching Numerous New Technologies, Proficient in Evaluating the Effectiveness of New Technology & Establishing Best Practices for Workload, Producing Educational Video Tutorials, Efficient in Simultaneously Facilitating Undergrads / Working Professionals / Faculty & Staff. Travel? I’d Love To. My Passports in Good Shape & I Haven’t Missed a Flight Yet. I’ve had the Opportunity to Produce Video & Live Streaming Coverage from Fun, Memorable, & Iconic Places such as: London’s Royal Air Force Museum, New York City’s Intrepid Sea- Air & Space Museum, Chicago’s Museum of Science & Industry, & for events such as: San Francisco’s Game Developer’s Conference, Silicon Valley’s Maker Faire, & San Francisco’s ROBLOX Developer’s Conference. Motion Graphics, Video Editing Jobs, Camera Operation Gigs, & Jobs On Your Creative Team. Producer, Director, Camera Op, Post, Line Producer, Production Manager, Live Stream Control Operator. Video Production Specialist, Gaffer & Grip to the Director of Photography, Camera Assistant. Camera, Video Editor, Motion Graphics, Planning, Coordinating, Script, Sound, Gaffer, Grip. Instructor of two courses: Beginner Final Cut Pro User & Advanced Final Cut Pro User. Creative Development, Producer, Post, Photography, Branding, Marketing, & Broadcast Distribution. Post Production, Motion Graphics, Director’s Assistant, Camera Op, Gaffer, Grip, On-Set Photographer. Adjunct Professor of College Level Courses: Intro to Digital Media, Animation I, Web Development Tools. 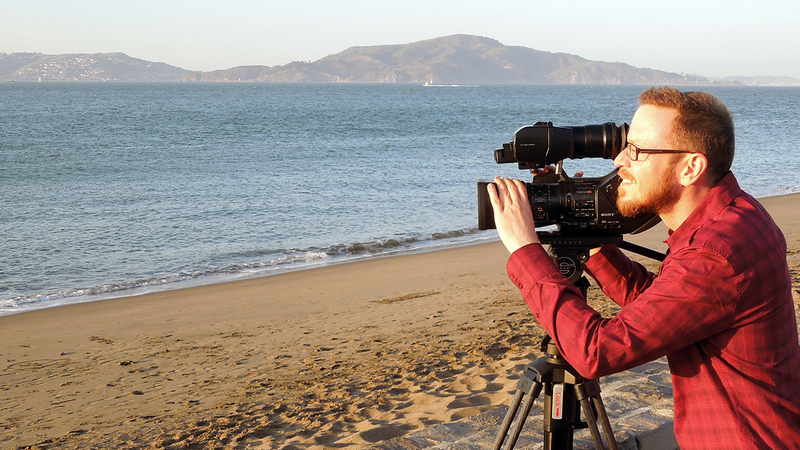 Headed DV Production Business, Develop Curriculums, Teach Digital Video & Digital Photography. I’m technically proficient, organized, easy to work with, & lots of other good adjectives. I’m available for: motion graphics, work on-location, video editing jobs, camera operation gigs, & jobs on your creative team. My approach to every production is informed by my substantial experience from multiple perspectives. I bring over a decade of professional experience & momentum to every endeavor. Plus I love what I do. Working closely with the Marketing & Communications Department, I produced videos & live programming to engage the platform’s youthful community & widen awareness among the broader gaming sphere. I created video content for many purposes, including: corporate identity, advertising & sales, new product & feature launches, events, education, social media, & general brand awareness. Starting in 2014, I played a critical role in establishing ROBLOX’s live programming on Twitch. I drafted a master plan for a video studio, & installed & configured all A/V equipment. With the equipment in place, I also directed in-studio talent, & produced branding, media packages, & motion graphics for various live shows. The Twitch channel quickly became the company’s fastest-growing social outlet, & one of the fastest growing channels on all of Twitch. Featured live stream content included: a weekly social gaming show, a bi-monthly interview show with top creators from the community, monthly weekend broadcasts, on-location event coverage, product demos & launches, virtual events, contests, & live tutorials. Worked with Climate.gov to produce media broadcasts for NOAA: The National Oceanic & Atmospheric Administration that provide science & services for a climate-smart nation. Offering a public-friendly point of entry to NOAA’s & our partners’ diverse portfolios of climate data & information. The goals are: to promote public understanding of climate science to make our data products & services easy to access & use for decision-making, to provide climate-related support to the private sector & the nation’s economy, & to provide quick access to data & information for individuals with very specific questions. I created compelling broadcast television programming for countywide marketing campaigns, including distribution to social media outlets. Working closely with the Public Relations Department & Marketing Team I developed programming to better communicate the counties mission with the citizens. Implemented production of many forms of video- from episodic programs for Parks & Recreation & the informative Buncombe Life series, to commercials, informational videos, PSA’s, industrials, & internal employee training videos. Deployed social media strategies using Goggle+ & YouTube video channels on a regular basis. Used Google Analytics to evaluate our departments effectiveness throughout various campaign initiatives. Operated NewTek TriCaster systems & software using multiple remote controlled Sony EVI-D70 camera systems & live mixing multichannel audio sources for monthly meetings. As Graphics Coordinator I operated computer graphics systems (CGS) to add titles, credits, and lower-thirds to live productions & recordings. Part of my workload consisted of utilizing workflow automation tools to manage, catalogue, & add custom metadata to multimedia files on our server-based system while working on both PCs & Macs. I operated & programed automated video playback systems in a master control environment to program the on-air automated playback sequence of this cable television channel. I was responsible for regular content management, data backup to multiple servers, & assisted in programming of master control for our channel using Leightronix video servers, system controllers, routers, & automation processes. Instructor of two courses: Beginner Final Cut Pro User, & Advanced Final Cut Pro User. Courses covered topics including: NLE workflows, The FCP HD Environment, Ingesting File-Based Media, Media Management, Assembling Clips, Video Editing, Voice Over, Multi-Cam Edits, Nesting Clips, Match-Frame, Using Motion Controls, Working with Adobe Creative Suite, Key Board Short Cuts, Outputting, Compression Settings, Delivery in Preparation for Broadcast TV / URTV Station, Etc. Concept & Creative Development, Video Production Manager, Logo Design & Branding, Website Design, Photography, Video Production, Field Camera Operator, TV Studio Camera Operator, Video Post Production, Animation, Digital Asset/Content Manager, Sound Designer, Founder, Owner, Operations Manager, Marketing & Communications, Broadcast Distribution. In addition to the above, I administered our editorial calendar for our marketing team. We worked to coordinate releasing topical television episodes with: public events, website updates, email marketing campaigns, social media updates, & printed flyers. The Wallpaper Project is a 30 minute Television program that aired weekly on URTV (WNCCMC) Television Station. Its premise was to foster artistic collaborations between new-media / multimedia artists & give them the opportunity to promote their work on television. We have broadcast 110 episodes to date. Video Editor, Motion Graphics, Camera Operator, Gaffer, Grip, On-Set Photographer, Director’s Assistant, Assistant to the Producer. I edited each episode for both television & radio broadcast. The Green Radio Bistro is a 3 camera weekly variety show (recorded on-location with live studio audience) that encompasses one-on-one guest interviews, kids reports, & live musical acts, designed to entertain its live audience while raising the level of “green literacy” among its viewers & listeners. It features live music as host & co-producer, Ian Booth, welcomed top musicians from the widely touted WNC music scene & beyond. Co-hosts Ned Doyle & UNCA Environmental Studies professor Dr. Dee Eggers interviewed fascinating guests & “green” innovators who shared ideas & personal experiences to pique everyone’s interest in energy conservation & clean energy, alternative transportation, green business & much more. Instructor, teaching these courses: Intro to Digital Media, Animation I, Web Development Tools, Internet/Web Fundamentals. I worked for both ABTECH’s (Asheville Buncombe Technical Community College) Business Computers Technology Department & The Career Education Center (CEC) Digital Media Department program. While there I taught & offered hands on training in college level digital media courses including: Intro to Digital Media (multiple programs- including Adobe Creative Suite), Animation I – (Flash), Web Development Tools (Photoshop, HTML, CSS, XML), & Internet/Web Fundamentals (various internet tools). I am skilled at administering multimedia facilities, experienced with developing clear course objectives, syllabi, & great at communicating with people. I am confident in teaching numerous new technologies, proficient in evaluating the effectiveness of new technology, & establishing best practices for workload. I am efficient in simultaneously facilitating undergrads, working professionals, faculty, & staff. I am also well versed at producing educational video tutorials. Cultivated & managed a non-profit digital video production business run by youth. Developed curriculums & taught workshops in Digital Video & Digital Photography (Final Cut Pro and Photoshop). Contributed to 40 plus video projects, from youth produced PSA’s to large corporation industrials. Managed and upgraded Mac based video production lab facilities. Facilitated 8 Video Artist Residences, 4 with international award winning independent filmmaker Ed Radtke. Volunteered as an Americorps VISTA in affiliation with (OCCN) Ohio Community Computing Network. I have worked to establish partnerships with human service organizations to integrate at-risk youth into the Coshocton community through community oriented video projects. – Peter Brezny, President, Purplecat Networks Inc.
– Kasumi, Guggenheim Fellow, Artistic Director at Kasumifilms. – Sue Shipitalo, Research Development & Training Coordinator at Iowa State University. – Kathy Dee Zasloff, Pioneer & Innovator, Creating & Innovating, Inc.
– Pete Blackshaw, Sales Manager at Rexel Holdings USA, Corp.
– Lisa Mraz, HD Video Marketing Owner/Producer/Director. – Ned Gardiner, PhD, Climate Communications for NOAA Climate Program Office. For this project, I was tasked with kinetic text treatments, motion graphics, & all post production work on a 3:00-minute sizzle reel for ROBLOX. A lot of time & attention was given to each aspect of the video, from the verbiage of the title sequences to the pacing & movement of the video. The reel showcases the ROBLOX platform & its many avenues of advertising solutions including High Impact Media, Custom In-Game Items & Characters, ROBLOX Event Sponsorships, & Custom or Sponsored Games Created by Users. Special thanks to Kaitlyn Hogue: Advertising Product Marketing Manager, & Andrew Haak: Senior Communications Manager, & thanks to all the talented team members for helping! ROBLOX University was the largest video tutorial series ever released by ROBLOX. Produced by the Marketing / Communications Team & presented by internal game design experts, the month-long series taught up-&-coming game creators how to build & code their own games from scratch through narrated, step-by-step guided videos. There were beginner & advanced tracks, & each week the team delivered a new batch of videos that ultimately received hundreds of thousands of cumulative views & became a go-to resource for budding game developers. Examples of the graphic design, motion graphics, & video production work I created for the opening sequence to The Next Level, a weekly social gaming show produced by ROBLOX Marketing / Communications team & live streamed to Twitch. It boasts viewership ranging from 2,000 to 8,000 concurrent. On the show ROBLOX staff chat with viewers, play awesome games created by the community, & launched weekly Twitch streaming challenges. I’m proud to say that I’ve been part of The Next Level for 68 episodes in a row, if only there was time for a blooper reel. Oh, The Bearded Alien- yes that was a thing! He’s in the background of some on the set shots if you look closely. Awarded The North Carolina Department of Health & Human Services, WIC Outreach & Innovative Practices Award for my work on the video: Spotlight on WIC. I completed Pre-Production & Production, Max Taintor did Post-Production work- both for BCTV in Asheville, NC. The video informs the viewer about the WIC program, clinics, nutrition, education, & more. Awarded The National Association of Telecommunications Officers & Advisors, Community Awareness Honorable Mention Award for my video project: Radon: The Silent Killer. I produced this PSA for BCTV in Asheville, NC. It was created within the 1st 6 months of my position. It informs the viewer about radon gas & how to find out more information. I also did voice-over for it. Awarded The Transformus / North Carolina’s Annual Burn / Creativity Grant for my work with Unidentified Fluxion Utterance aka. UFU. We created a engaging & interactive sound apparatus that is suspended in the air, where participants can send & receive various types of sounds via Walkie Talkie short wave signals. They can position the sound apparatus over any position of the lake by manually turning a crank. While other participants will be able to reflect green laser beams off it to create a laser show at night. Ask me about it, this description does it no justice. Awarded The Transformus / North Carolina’s Annual Burn / Creativity Grant for my work with Roving Random Chaos Unit. We have created a small portable sound apparatus where participants can use their mouths to broadcast/amplify any sound made by form of: mouths, lips, & vocal cords. You can add effects to the sound by manipulating it with 199+ effects of the 2 Korg Kaoss Pads- (a cool light up sound mixer with finger-touch sensitive screens). Ask me about it, this description does it no justice. Awarded The URTV 2008, URTIE Award, 1st Place, Educational Category for my television show The Wallpaper Project we produced a 3 part Television series called: Paul Miller A.K.A. DJ Spooky on Media, Culture, & Rhythm Science. The Wallpaper Project is a 30 minute Arts & Culture variety show that airs every Thursday night at 11:30pm on URTV (Asheville Public Access Television Station) Cable Channel 20. Awarded The Media Arts Project / Advantage West Daniel DeLaVergne Media Arts Advantage Fund for my work with a multimedia project called CRATE. CRATE is a media literacy project that offers youth education in media content analysis, as well as multimedia production. Students that participated produced & co-created a multimedia installation to the question: “How has technology & multimedia shaped your lives”. Awarded The Vista Volunteers In Service To America (VISTA) Extraordinaire Award for my work with Coshocton Technology Center & Pomerene Center for The Arts from The Ohio Community Technology Center. It was awarded to me for my work in variety of areas including: promoting relationships among businesses, community organizations, social agencies & local schools, furthering the development of the technology center at Central Elementary, & for training youth to develop several media projects & documentaries within the community. The work with students in the Coshocton Opportunity School has encouraged the development of a media arts business, which I served as mentor. 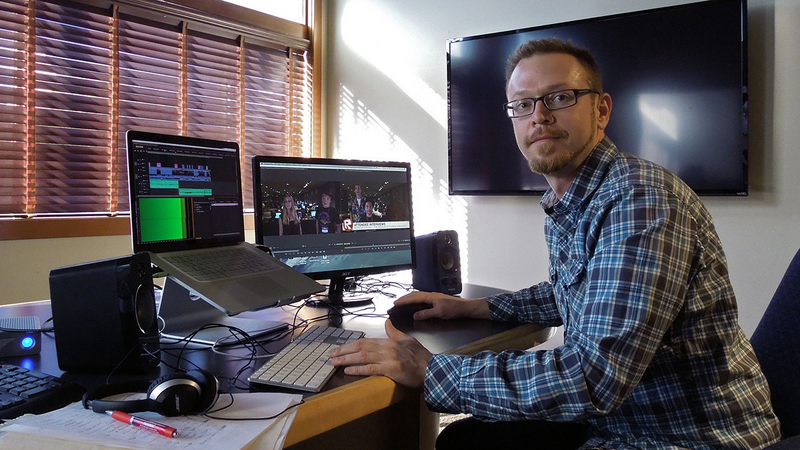 Studies included: AVID Media Composer for Final Cut Users- a Professional Development Course taught by Cam Williams- Associate Editor to feature film Coraline. Comparing Features, Workflow, Media Management, User Settings, Ingesting File-Based Media Using AMA, Assembling Shots in a Sequence, Editing, Color Correction Mode/ Interface, Multicam Editing, Sound Mixing, Working with Adobe Creative Suite, Outputting Options & Delivering the Finished Work, Key Board Short Cuts. Studies included: Autodesk Maya Motion Media, History of Animation-Pencil to Pixel & the History of Black Mountain College Arts. Autodesk Maya: Training of technical, artistic & critical skills required to create convincing 2-D & 3-D animation using Maya, video editing, compositing. History of Animation: Examining studios like Disney, DreamWorks, Warner Bros, & Pixar. Animation in advertising, experimental animation, anime, propaganda. Black Mountain College: Study of the experimental liberal arts college & its influence on contemporary arts; Buckminster Fuller, John Cage, Willem de Kooning, Robert Rauschenberg, Josef & Anni Albers. Studies included: Link Building for Entrepreneurs, Marketing for Your Business, Social Media for Businesses, & many Professional Development Lectures. Becoming proficient with messaging & storytelling about the company vs. the customer, resources, marketing, technology, leadership skills. Understand the structure, design, technology, & pros & cons of numerous social platforms such as Facebook, Twitter, LinkedIn, Pinterest, Instagram, YouTube, Google+ & others. Explore how social commerce is now interconnected to multiple aspects of business. How companies use social media for marketing, analytics, customer service & more. Establish a continuous learning pattern to stay current with this ever-changing world of social technologies. Understand how to measure the results of new-world marketing initiatives. Learn about many of the tools & technologies available to help manage & successfully execute the marketing for companies both large & small. Studies included: Digital Video I-II-III, Interactive Design, Photography I-II-III, Digital Imaging, Philosophy of Media, Animation, Experimental Animation, Motion Graphics, Advanced Time-Based Projects, Motion Picture Production, Senior Thesis Exhibit, 2D Design, 3D Design, Color Concepts I-II-III, Art History I-II-III, Creative Writing, etc. Moving-picture storytelling continues to define our culture, fed by an ever-expanding stream of new venues, screens, & formats. This program teaches you to channel your unique voice into strong content no matter where you want to go: mainstream feature films, motion graphics, fine-art installations, interactive media, original television, independent films, music videos, or commercials. You’ll explore every step in the filmmaking process—storyboarding, production design, cinematography, directing, & post-production. It’s all supported by up-to-the-minute, industry standard digital tools & a strong professional network. Studies included: Basic Design Principles, Color Theory, Typography, Page Layout, Computer Software Programs, Photography, Illustration, Advertising, Editorial, Narrative Illustration, Spatial Relationships, Storyboards, Emerging Technologies, Drawing from Life & Photo Reference Material, Print Production, Color Separations for Commercial Print Output, Materials & Procedures Employed in the Communication Arts Industry. Instructor of two ongoing courses: Beginner User Final Cut Pro, & Advanced User Final Cut Pro. Courses covered topics including: NLE workflows, The FCP HD Environment, Ingesting File-Based Media, Media Management, Assembling Clips, V.O., Multi-Cam Edits, Nesting Clips, Match-Frame, Using Motion Controls, Working with Adobe Creative Suite, Key Board Short Cuts, Outputting, Compression Settings, Video Delivery in Preparation for Broadcast TV / URTV Station, Etc. I worked for both ABTECH’s Business Computers Technology Department & The Career Education Center (CEC) Digital Media Department program. While there I taught & offered hands on training of college level digital media courses including: Intro to Digital Media (multiple programs- including Adobe Creative Suite), Animation I – (Flash), Web Development Tools (Photoshop, HTML, CSS, XML), & Internet/Web Fundamentals (various internet tools). I am skilled at administering multimedia facilities, experienced with developing clear course objectives & syllabi, & great at communicating with people. I am confident in teaching numerous new technologies, proficient in evaluating the effectiveness of new technology, & establishing best practices for workload. I am efficient in simultaneously facilitating undergrads, working professionals, faculty, & staff. I am also well versed at producing educational video tutorials. Cultivated & managed a non-profit digital video production business run by youth. Developed curriculums & taught workshops in Digital Video & Digital Photography (Final Cut Pro and Photoshop). Contributed to 40 plus video projects, from youth produced PSA’s to large corporation industrials. Managed and upgraded Mac based video production lab facilities. Facilitated 8 Video Artist Residences, 4 with international award winning independent filmmaker Ed Radtke. Volunteered as an Americorps VISTA in affiliation with Ohio Community Computing Network. I have worked to establish partnerships with human service organizations to integrate at-risk youth into the Coshocton community through community oriented video projects. Supervised & assisted undergrads in the operation of professional studio equipment & computer software throughout the colleges various media facilities. Additional duties included: general maintenance of equipment, troubleshooting of problems with computers & peripherals, gathering & scheduling A/V equipment during sign in & out, monitoring the students progress, answering phones & scheduling appointments for professors, powering up & shutting down of equipment & peripherals as needed. Various lab areas include: CG Lab, Animation Lab, General Computer Lab, Digital Imaging lab, Advanced Digital Imaging Lab, Interactive Design Lab, Video 3/4 inch Edit Suite, Video 1/2 inch Edit Suite, Video Switcher Sound Studio, Video Hi8 Edit Suite, Digital Video Edit Suite. Photography Labs: 4 Oversize Color Photo Enlarger Suites, 30 Enlargers In The Beginner Lab,18 Enlargers In The Advanced Lab, All chemical maintenance: Developer, Fix, Rinse, Color Print Processor, Print Dryer Systems, Fashion Photography Studio, Studio Sweep-Lights & Camera equipment. Please Visit My Linkedin Profile to view more. I’m a music enthusiast. Do I like only certain kinds of music & not others? Well, maybe- but as Duke Ellington put it, there are two kinds of music, “good music & the other kind.” Music acts I enjoy include: Sonny Fodera, Mark Farina, CAN, Fujiya & Miyagi, & Otis Redding. Music genres, styles, & instruments I enjoy include: EDM, Trip Hop, Doo Wop, Oldies 1955 to 1964, The Blues, Stripped Down Blues like Jessie Mae Hemphill, R&B, Soul, Funk, Music with Call & Response, slide guitars, horn sections, Hammond B-3 organs, 303 baselines, & anything with a warm danceable groove. I love seeing live music, discovering new music, listening to to music, making compilations, sharing music with friends, & going to concerts at amazing venues. Some of the top things I really enjoy are are: being outside, bon fires, landscape views from high on a mountain, hot tubs, DJing music on nice sound systems, dancing, & nature. Other things I take interest in are: performance art, discontinuous approaches to storytelling, recapitulating media communication methods, black books art project, experimental book making, video as documentary, video as installation, digital photography, 2 & 3d digital imaging & design, animation, gorpro cameras, form following function, eating simply & eating healthy, being active, mountain biking, skiing, exercising at the gym, walking as problem solving, getting some perspective on where you live, simplicity. I like to edit video for a living. I’ve seen some awesome videos as of late- ask me bout some. “Urgency of life, love, the heat of the soul, warm breath to keep the demons on their toes. Everything seems to go faster and become more important daily, whilst at the same time becoming harder to fathom.” -Morcheeba liner notes. “Life will go its way, beauty can only be found. Step aside — it’s there.” -Anthony Bourdain.